Towson University has been selected as an inaugural member of the Higher Education Anchor Mission Initiative, a national collaboration designed to develop and share new strategies for deploying higher education’s intellectual and place-based resources to enhance the economic and social well-being of the communities they serve. The Higher Education Anchor Mission Initiative is a joint project of the Coalition of Urban and Metropolitan Universities (CUMU), a national organization dedicated to connecting urban universities and their partners, and The Democracy Collaborative (TDC), a national research institute developing strategies for a more democratic economy, and is supported by the Annie E. Casey Foundation. Higher education institutions like TU are anchor institutions—local economic engines and mission-driven organizations tied to the long-term well-being of their local communities. According to a 2015 study, Towson University has had a total economic impact of $139.4 billion on Maryland since opening in 1866. 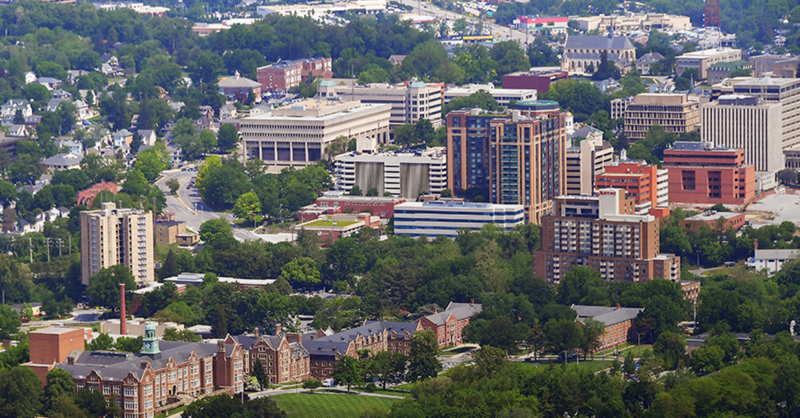 As the campus and its outreach efforts expand, this economic impact will continue to grow. Participation in the Initiative helps to deepen TU’s existing commitment to strategic partnerships, exemplified by BTU—Partnerships at Work for Greater Baltimore. It will also accelerate the work TU is already doing in collaboration with other anchor institutions in Baltimore City via the Baltimore Integration Partnership. TU’s involvement in the Initiative will provide a national platform to accelerate this important work and will help administrators to play a more active role in supporting the local economy. 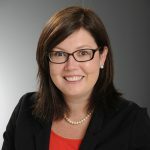 Jen Stano, PHR, SHRM-CP, Employment, Classification, and Compensation Manager in the Office of Human Resources at Towson University, is TU’s representative for the Initiative. In her role, she will support campus-wide engagement to evolve and institutionalize anchor mission work at TU. Learn more how community partnerships are strengthening local hiring. Stano will join participants from across the United States in webinars as well as special conferences. In June, she will travel to Virginia Commonwealth University to participate in a two-day convening. Participants will explore opportunities to scale the work across entire campuses, neighborhoods, and in various geo-political regions. Participants will reconvene at CUMU’s Annual Conference in Chicago in October. Towson University has a long history with CUMU. In 1989, TU, then Towson State University, was one of 50 colleges and universities that signed the Declaration of Metropolitan Universities, which formalized CUMU as an organization. Following a competitive bidding process in 2006, the CUMU headquarters were moved from Wright State University to Towson University where it remains today. CUMU is managed through TU’s Office of Partnerships & Outreach. The office manages events, communications, finances, and operations in addition to liaising with partner organizations. The office also manages and publishes Metropolitan Universities, CUMU’s quarterly journal. In addition to my TU role, I serve as CUMU’s executive director. President Kim Schatzel sits on CUMU’s executive committee. Bobbie Laur serves as associate vice president of outreach. She oversees two externally-focused teams whose collective focus is to match the expertise and resources of the university with external partners throughout Greater Baltimore. With a commitment to community outreach and engagement and higher education policy, Bobbie's posts focus on trends, issues, and best practices in those areas.